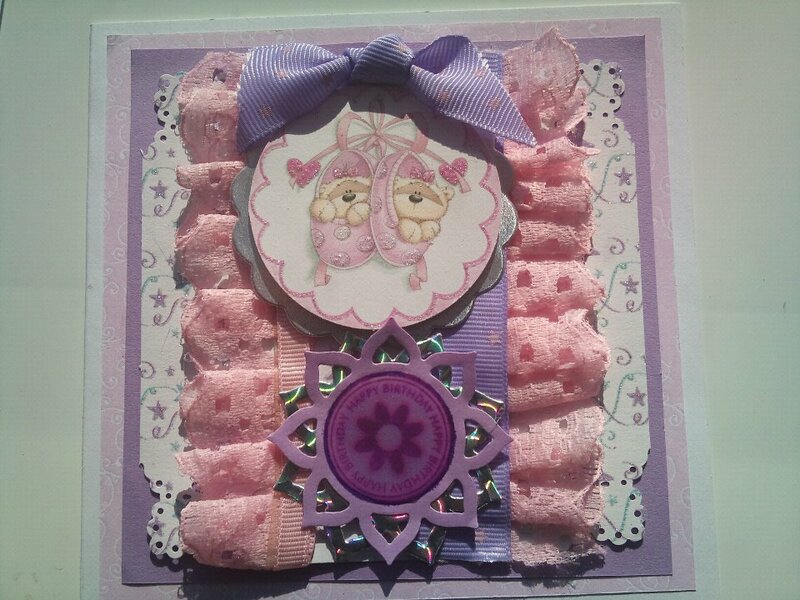 Just a little card I made for a little girls birthday.I was trying out the pleated lace bit that turned out quite well.I think. I will defintly be using it again.The topper is punched out from a fizzymoon backing paper.I hope all my 3 followers like it. Thanks if you drop by please leave a comment,only if its a nice one.